James Haun is an award winning, veteran tattoo artist of 22 years and multi media artist/musician. After a 4-year stint in the Army, he began pursuing a career in tattooing. James worked in many shops in the DC metro area. In 2010 he wanted to make a move that would allow him to push his art, both on skin and canvas to new heights. 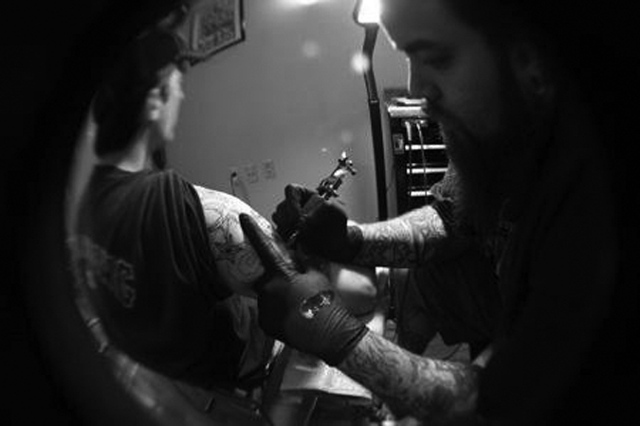 James specializes in many different styles of tattooing and his artwork has been featured in magazines, tour posters, t-shirts, and advertisements. He enjoys translating his client’s ideas and concepts into the tattoo of their dreams. James can be found Fri-Mon at the Dupont Circle location of Fatty's Custom Tattoo in Washington DC. You can also catch him on one of his many guest spots or at international tattoo conventions.